This month marks 3 years since we launched our Giving Basket feature. We wanted to celebrate the occasion by highlighting 3 features that users love about the Giving Basket. But first, we wanted to share our users' dedication to supporting the causes they care about. In our first 3 years, we’ve seen 98,640 users of our site make donations through the Giving Basket. Those users have donated $46.2 million to over 18,000 charities doing work they care about and want to invest in. By creating a “basket,” you can fill out your credit card details once but donate to as many charities as you want. The average Giving Basket checkout contains 2.5 donations. On December 31, 2016, however, one of our users checked out with a whopping 175 charities in a single basket! That still holds the record for most donations in a single basket (will you beat it?). 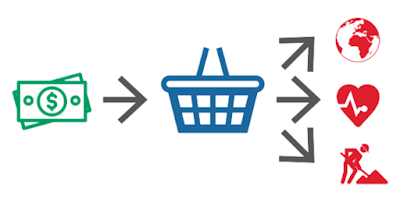 Our basket setup minimizes the friction that might keep donors from giving to multiple organizations. We hope this means that donors will give more freely, donating more money, to more charities, who can then do more good for the world. One of our platform’s unique features is the ability to donate without sharing your contact information with the charity receiving the donation. About 20% of donations made through the Giving Basket have been made anonymously. One of the most common complaints we hear from donors is the amount of “junk” mail or email they get after donating. Many donors who are concerned care about the cost to the charity for generating and sharing these materials, and feel they don’t need to be reminded to donate. Our Giving Basket allows donors to control how much information they share with each charity they donate to. We know charities love every donor and appreciate every donation they receive. However, the consistency of a monthly recurring donation offers charities the stability to plan and budget more realistically. Over 3 years, 3% of donations have been set up as monthly recurring gifts, while almost 5% recur on some pattern, like monthly, quarterly, or annual. More recently charities, including Charity Navigator, have begun asking donors to consider making their annual contribution a semi-annual, recurring gift. As a result, over 8% of donations have been set up as monthly gifts, with nearly 11% of donations being made monthly, quarterly, or annually thus far in 2018. This population of recurring givers provides much-appreciated stability for the charity to better plan and look forward, knowing that they can pay a little less attention to fundraising. If you haven’t used our Giving Basket yet, we encourage you to do so! It’s easy to get started. We believe in the power of our Giving Basket to help you give more confidently to the charities you trust. Written by Matt Dragon, Director of Engineering at Charity Navigator.